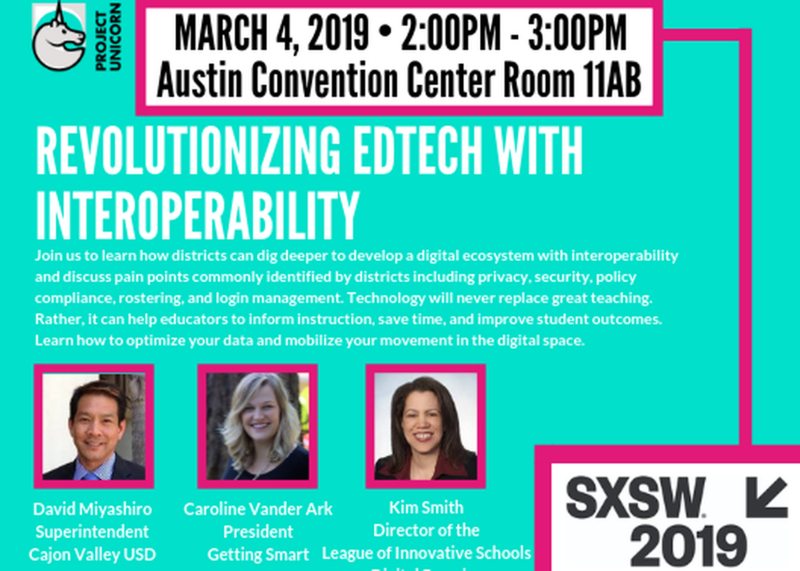 Project Unicorn, Digital Promise, and Cajon Valley USD will discuss how districts can dig deeper to develop a digital ecosystem with interoperability and discuss pain points identified by districts, including privacy, security, policy compliance, and rostering. Technology will never replace great teaching. Rather, it can help educators to inform instruction, save time, and improve student outcomes. Learn how to optimize your data and mobilize your movement in the digital space.